And it shall come to pass in the last days, that the Mountain of the Lord’s house shall be established on TOP of the MOUNTAINS. I ask you to consider your part in REACH. Pray about it, listen for His wisdom and direction, and then I hope you’ll join us on this God-inspired faith adventure to REACH FORWARD & BEYOND. I believe together we can make history and leave a powerful legacy of transformed lives and a renewed community at MFM. 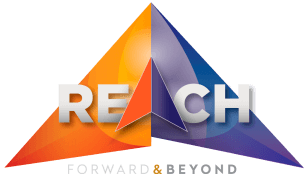 The Reach Initiative is about having a greater commitment to our mission and a dedication to our vision to strengthen families, make disciples and have a greater level of compassion for the broken both in our communities and around the world. Our Mission is to Impact the World! 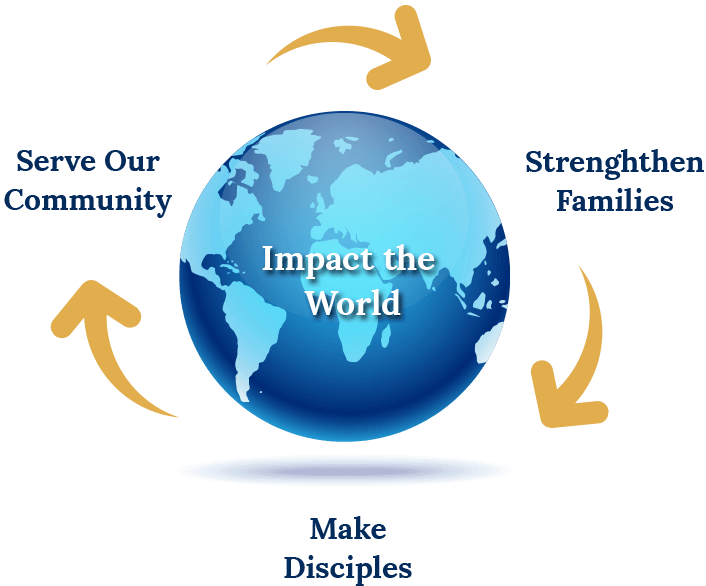 Our Vision is to provide an atmosphere to help strengthen and build family’s and people of all walks of life, teaching and presenting the word of God with practical application through anointed prayer, praise and worship that all believers and Non-believers would know the Love of Jesus Christ. It will stretch our faith, but also provide opportunities to see God move and provide in amazing ways. Together we’ll grow – both personally and as a church – beyond what feels safe and familiar. Your commitment will enable us to have an even greater impact in our community and around the world. • MFM would be a church that is always fully consistent and passionately centered on Christ. • The hearts and minds of everyone at MFM would be humble, open and responsive to what God wants to do in our lives. • Pastor and leadership would be sensitive to the Holy Spirit and follow His leading in every action regarding this project. • God would strengthen our faith and grow us spiritually as individuals, as families, and as a united congregation to fulfill His vision together. • To trust God more with our time, talents, and treasures. 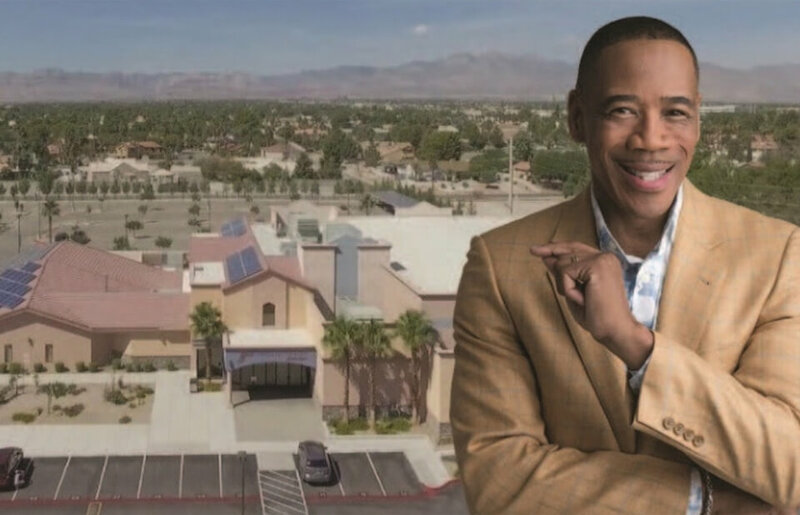 • God would provide all the funds needed to complete our vision to capture the space, transform the campus, and extend the blessing for now and future generations. • Many people will put their faith in Jesus and grow in their relationship as a result of the ministry resource expansions provided by this campaign. • Listen as He speaks, “God, what would you have me do with the resources you have provided.” After gaining peace, please write that amount on your envelope. Understand that your inaugural seed in this exciting process will serve as the initial first offering that will kick off this leap of vision. 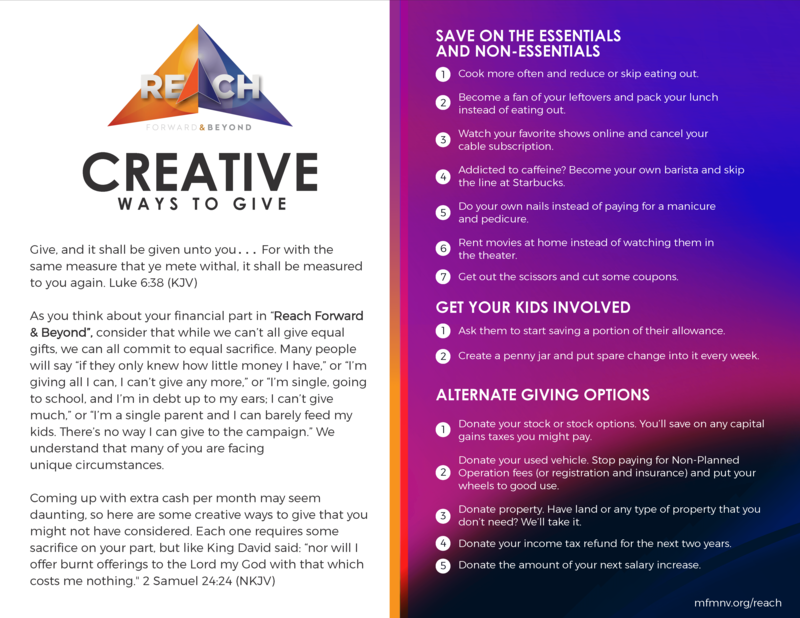 • Take a commitment card and determine what total amount you can pledge in faith and obedience for the entire two-years. • Pray for your fellow Mountaintop Faith Ministries members to have hearts that clearly hear and respond to the voice of God.